No need for a taper crimp die, plus better accuracy with Lee Dies. Taper crimp dies are used to correct the problems caused by the improper expanding plug design or adjustment. They distort the bullet shank and reduce accuracy. 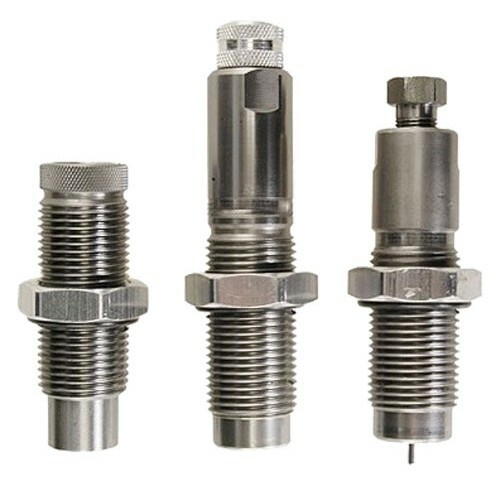 Because the Lee Expander flares the minimum amount, consistent with easy bullet insertion, all of the flare is removed with the bullet seating die, thus eliminating the need for a taper crimp die.